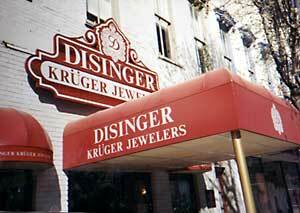 Awning signs created by Alvey’s Signs are an exciting architectural element for business building signs. 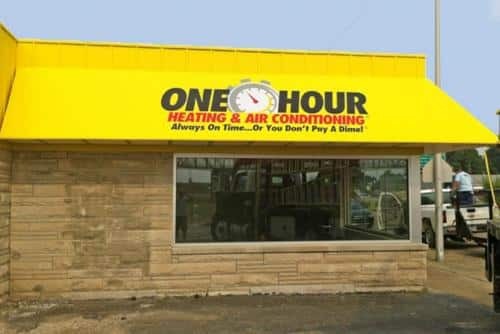 Hung across the front of your building, covering only your entrance, or wrapped around the sides of the building, your awning sign provides a high profile sign identity for your business while also offering protection from sun and weather for your building’s interior and providing shelter for your customers. 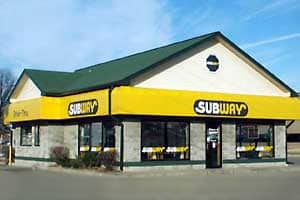 Illumination in your awning sign provides day and night identity signage for your building and, with the addition of an egg-crate bottom, allows the light to shine down on your storefront while hiding and protecting the lights within the awning sign structure. 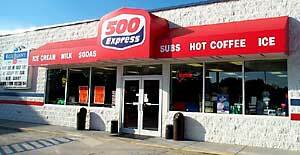 Customers appreciate the extra safety and visibility provided by your illuminated awning sign. 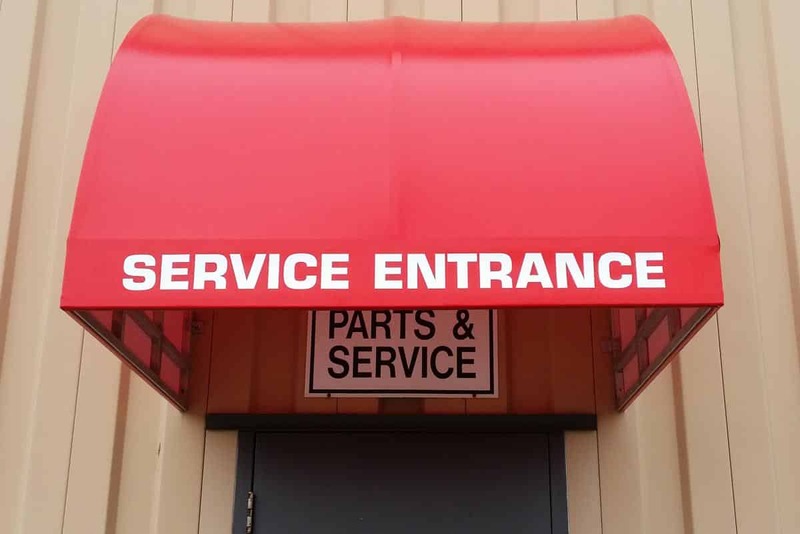 Alvey’s Signs creates a high quality, durable, custom manufactured awning sign for your business. 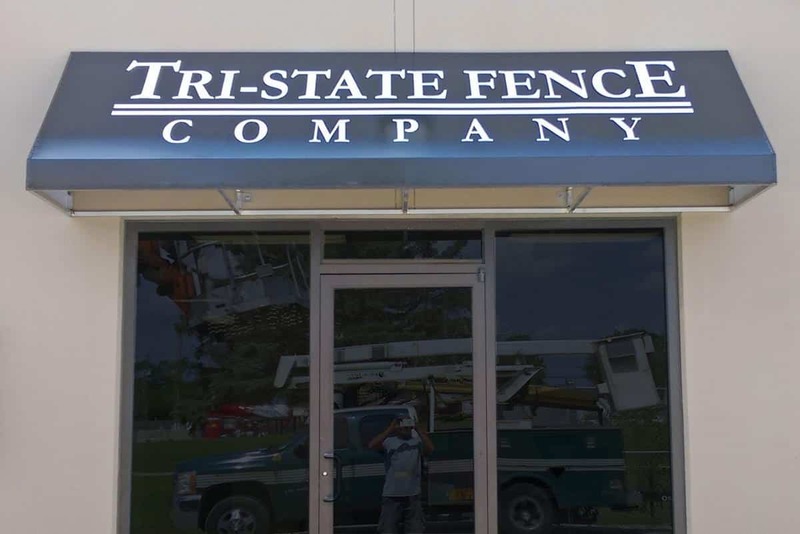 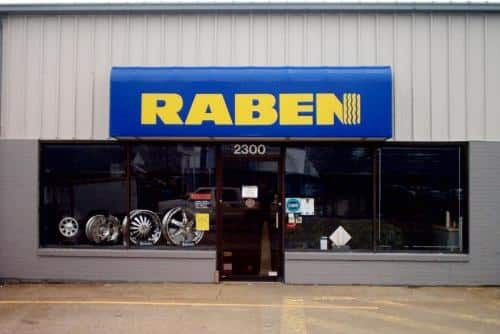 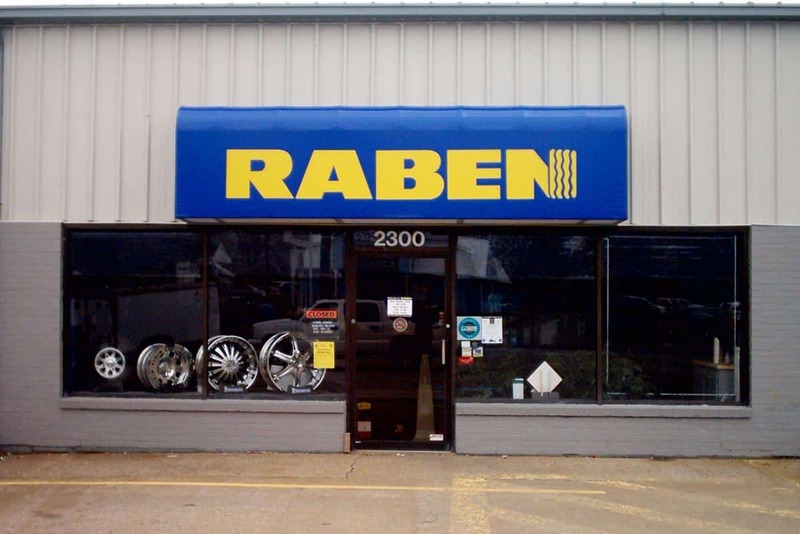 Durable, fade-resistant material is stretched over a strong aluminum frame shaped by Alvey’s fabrication workers to create the base of your awning business building signs. 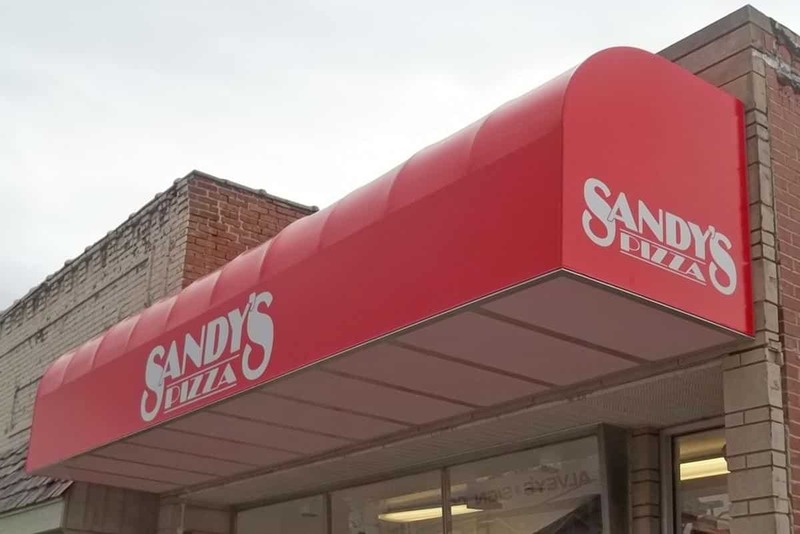 Available in any PMS color to match your business identity, the awning material is also translucent, so digital-printed custom vinyl lettering and graphics applied to your awning identify your business name, logo, and business slogan for customers. A colorful, high quality awning sign from Alvey’s Signs provides excellent visibility for your business and is a decorative feature for your building. 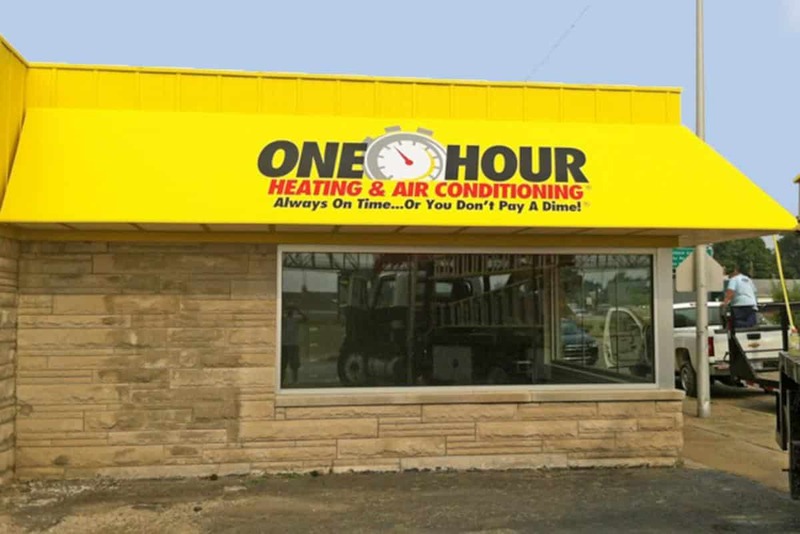 Backlit signs provide high-color business sign brilliance and identity and additional lighting for your business exterior at night. 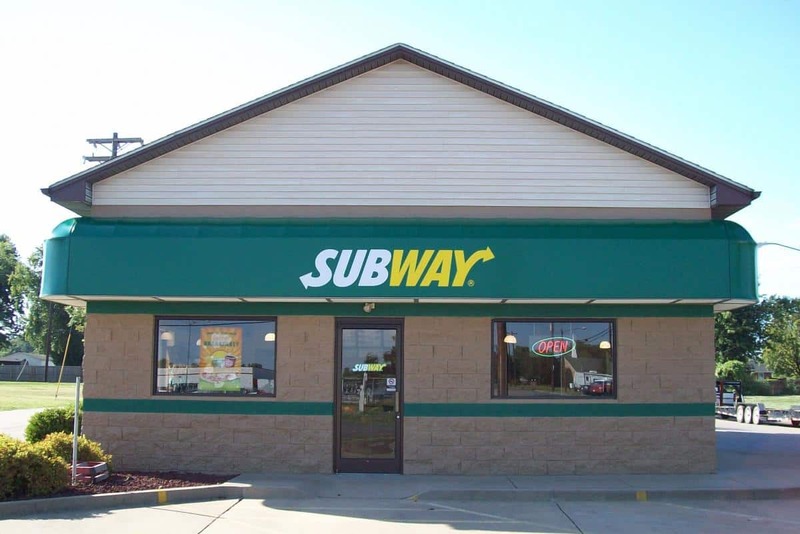 Talk to your Alvey’s Signs sales representative about establishing your brand and making an impression with a custom awning for your business exterior signage.